Across the Nation This week! Thursday, September 22 • The White House, Washington D.C.
President Obama makes official what our pueblo has long recognized and celebrated, the stature of Rudolfo Anaya's work. Anaya will receive a National Humanities Medal in a White House ceremony attended by Mr. and Mrs. Obama, in conjunction with the National Medal of Arts ceremony. 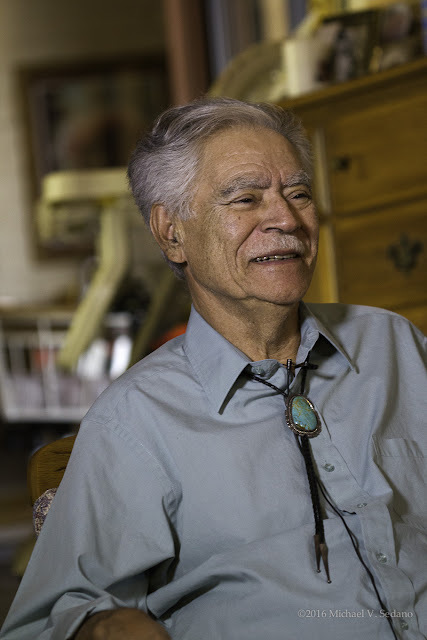 The Medal recognizes the author "for his pioneering stories of the American southwest. His works of fiction and poetry celebrate the Chicano experience and reveal universal truths about the human condition—and as an educator, he has spread a love of literature to new generations." Tickets are available for Denise Chávez, Live from the Mil Recuerdos Lounge. 6:30 p.m. at the National Museum of Mexican Art. 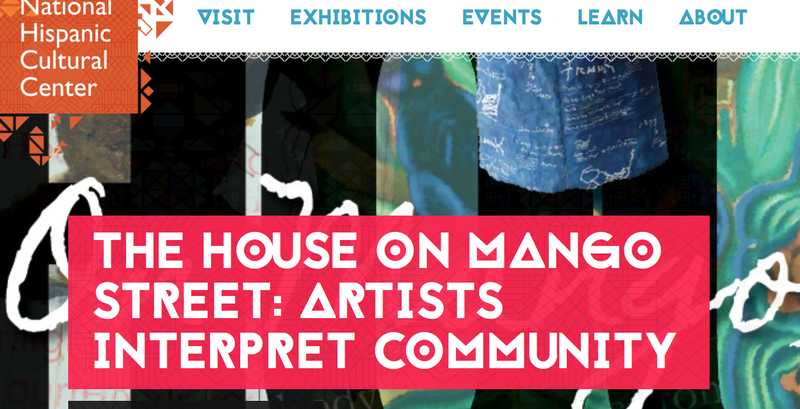 Tickets are $8 for NMMA members and $10 for non-members. ¡Live at the Mil Recuerdos Lounge! is a rollicking evening featuring Performance Writer, Denise Chávez reading from her new novel, The King and Queen of Comezón. Set in the town of Comezón "Itch" New Mexico at the town's favorite cantina. The pachanga takes place between Cinco de Mayo and Sixteenth of September. 7:00 - 8:30. Join the Los Angeles Poet Society and the Poets from The Coiled Serpent Anthology as we celebrate the diversity of our stories at The Last Bookstore in downtown L.A.! 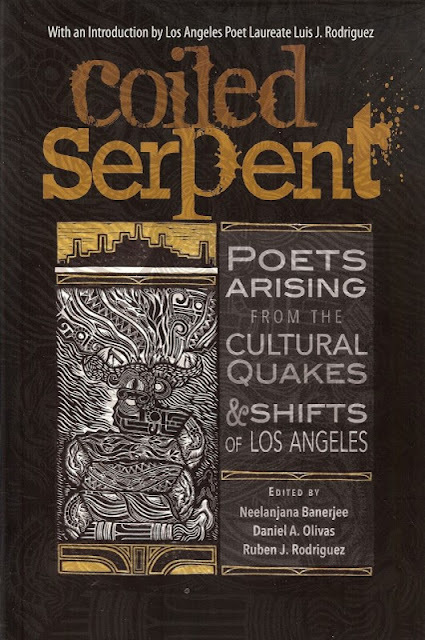 This landmark anthology was edited by Neelanjana Banerjee, La Bloga's Daniel A. Olivas, and Ruben Rodriguez, and includes an introduction by Los Angeles Poet Laureate and acclaimed author/activist, Luis J. Rodriguez. Grab a copy of this premiere anthology hot off Tia Chucha Press, featuring over 150 Poets from Los Angeles/Southern Cali and beyond! We will have a marathon reading with over 30 participants, including: Melora Waters, William Ryan Hilary, Tezozomoc, Jaime Lopez, Jeff Bryant, Anthony A. Lee, Kimberly Lieu, Lynne Thompson, Gerda Govine Ituarte, Doren Damico, Jessica Romoff, Ruthie Marlene, Boris Ingles, Alice Pero, Mariano Zaro, Erika Reyes, Jeff Rogers, Anna Urena, Tina Yang, Rafael Cruz, Nikolai Garcia, Gustavo Guerra, Karen Kevorkian, Rhiannon Wilson, Pogo Saito, Hilda Weiss, Martin Ott, Traci Kato-Kiriyama, Tom Adams, Claudia Rodriguez, Abel Salas, William Gonzalez, David Diaz, Hazel Harrison, and Jessica M. Wilson. Plus snacks! For more information, visit here. The Last Bookstore is located at 430 S. Spring St. (ground floor), Los Angeles, CA 90013. Store phone: 213-488-0599. In honor of Hispanic Heritage Month, #LibroMobile is celebrating it's inaugural month & all diverse writers too! Please donate 1 book/zine/chapbook by a writer of color and/or of diverse themes, which engages with one or all of the following communities: children/youth, bilingual, people of color, LGBTQIA, Feminism, mental, health & physical challenges, and social justice. In return we will feature you, the book & author via our social media sites the day after it is received in the mail! Books will be used to stock the LibroMobile and sold at upcoming literary events. Why is the American inner-city and the Latin and South American informal areas the focus of so much contemporary attention? How are the U.S.-based problems with respect to policing, housing and educational challenges related to a lack of urban vision or failed versions of the idealized modernist city? Those and related issues are subjects in a lecture delivered by Milton S.F. Curry, Associate Dean, Academic and Strategic Initiatives and Associate Professor of Architecture at the University of Michigan. “Racial After-Images of Architecture Ideology,” September 22, 2016, 5:30-7:00, Sheldon Museum of Art, Ethel S. Abbott Auditorium, University of Nebraska. 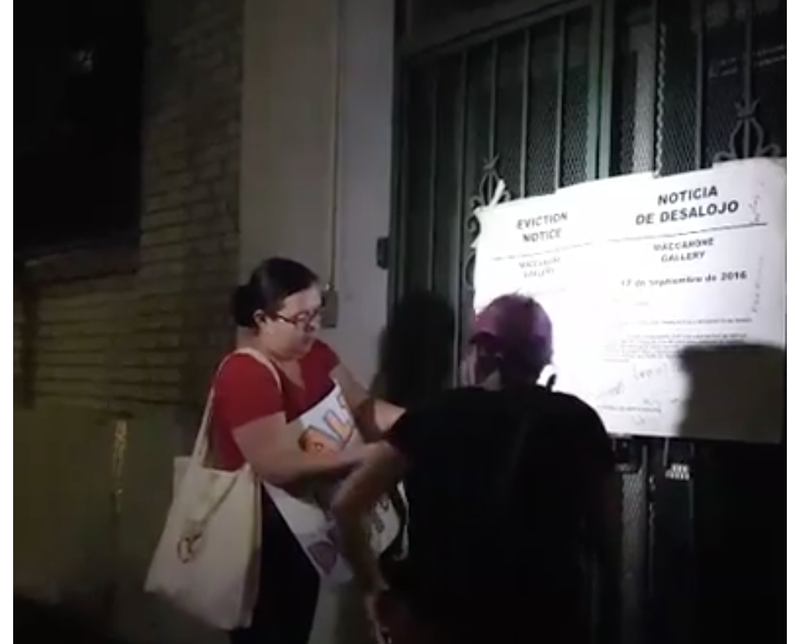 A Boyle Heights Conecta: "Evict Them Now!" The Lincoln NE academic lecture comes in a time of ferment in la comunidad, particularly in Los Angeles' Boyle Heights, where gente recently massed to evict gentrifying East Coast and Beverly Hills Galleries staking claims to raza land, much as "pioneers" squatted on Indian land in the 19th and early 20th century. Nuestra gente are not oblivious, we read, we are aware, and we speak out. We are not about to become denizens of an idealized modernist city. The idealizers have another thought coming. You are invited to the celebration of Cesar Love's new book of poems, Birthright. The night's festivities will also include the music and singing of Daniel Flores, and the voices of poets Kim Shuck, Gerardo Pacheco and Maurisa Thompson. For datos and information on the National Hispanic Cultural Center's diverse programming, click here. "Schoolboy." Chacon suffered from brain damage and spent his final years in an adult care facility. "How come he died, and what's the reason for?" Recently, the retired fighter fell, injured his already damaged brain, and died on September 7. 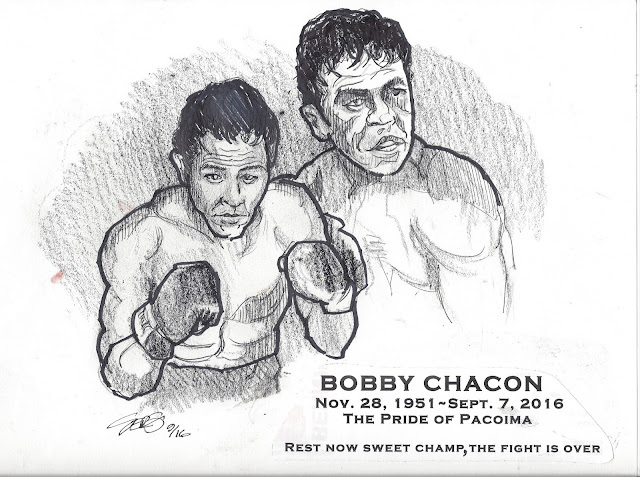 QEPD, Bobby Chacon.